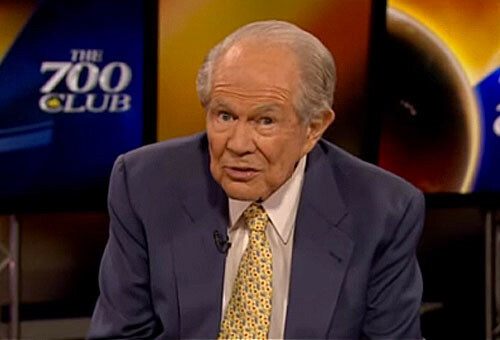 Pat Robertson, the approximately 10,000 year-old televangelist and blood diamond dealer, has never met a conspiracy theory he didn’t love. If he can work in a way to blame LGBTQ people for a national tragedy, so much the better. This time Robertson’s dander is up because institutions like the media, universities, and the entertainment industries are including LGBT people and being cognizant of the community’s needs and culture. He says that LGBT people have “infiltrated” modern society and are “dominating” heterosexuals. Robertson’s solution? He wants to make a movie with Kevin Sorbo, the right wing actor and Trump supporter best known for playing Hercules, a fictional ancient Roman hero and demi-God.